Rancho Santa Fe is always listed among the "richest" suburbs not just in California but in the entire U.S., according to numerous surveys. 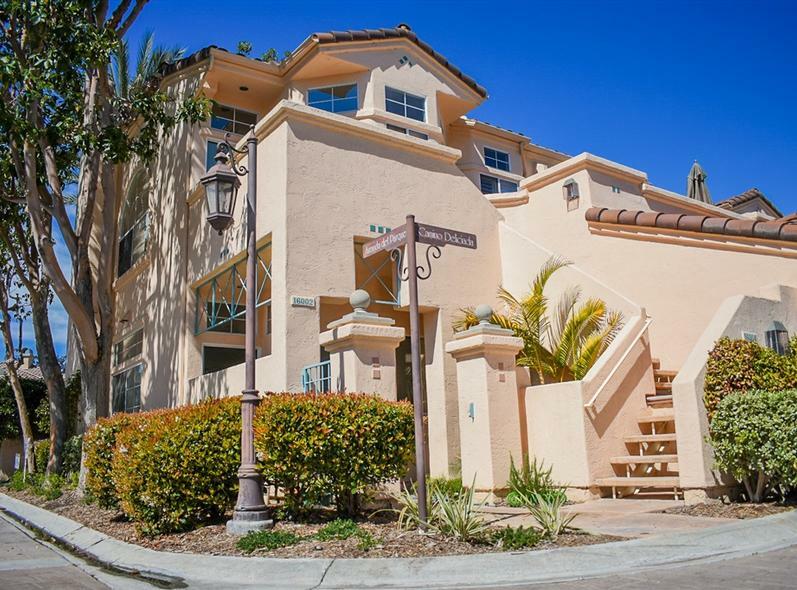 This shady, peaceful haven is located about 26 miles north of downtown San Diego and about six miles from the ocean in Del Mar and Solana Beach. Once known as San Dieguito, the area that now encompasses this North County community was bought by the Atchison, Topeka, and Santa Fe Railroad in 1906. The railroad planted thousands of eucalyptus trees for use as railroad ties. The project was scraped, however, because eucalyptus grew much more slowly than expected and because it was also discovered that the wood has a tendency to split when attacked with a spike! When the Lake Hodges dam was completed in 1917 - bringing water to the area - residential development became the focus of the community. Construction of the "Covenant" - as the original subdivision was called - began in 1922. The Spanish Colonial Revival flavor of the various public buildings was largely thanks to the efforts of local architect Lilian Rice. She also designed many private residences with her trademark style and those homes are among the most coveted in The Ranch, as residents affectionately refer to this little slice of heaven. The Rancho Santa Fe Association enforces strict landscaping, architectural, and commercial development codes. The minimum Covenant lot size decreed by the association, for example, is 2.5 acres. The Rancho Santa Fe Association, financially supported by the landowners, also maintains the golf course, tennis club, riding club, and country club and pays for a private security force, fire department, and emergency medical services. A community youth center and the area county library branch also receive support from the association. Early Rancho Santa Fe visionaries made sure that the winding roads that traverse the community make it impossible to speed - all in the name of enjoying the scenery of the Spanish haciendas and ranches set discreetly among the trees and hills. The ambience of the community today is elegant, quiet, and rural, even in the midst of burgeoning North County. Equestrian properties are popular. 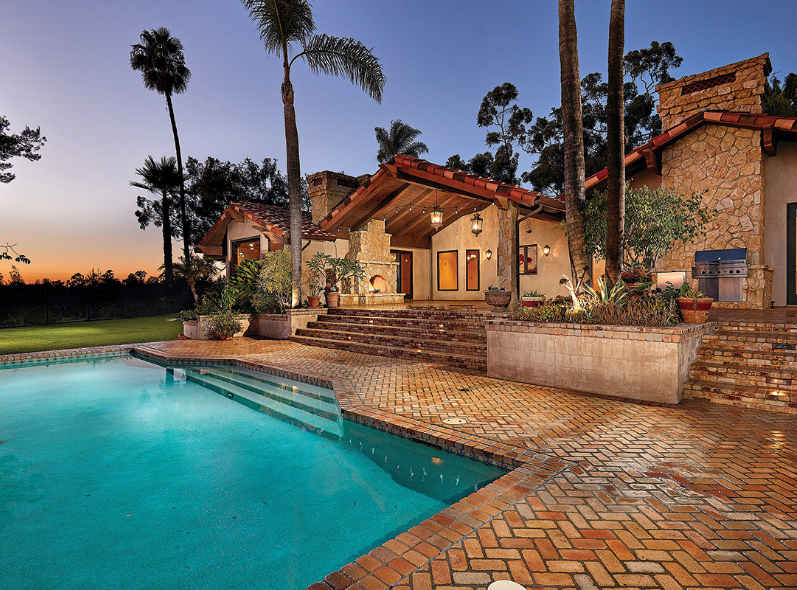 There are several newer developments in the Rancho Santa Fe vicinity that are not governed by the Covenant, but share in its commitment to an ambience of peace, privacy, and prosperity. These include Fairbanks Ranch, former home of Douglas Fairbanks and Mary Pickford, Del Rayo, Morgan's Run, the Crosby Estate, Hacienda Santa Fe, Rancho Cielo, The Bridges, Santaluz, and The Summit. The community enjoys some of the highest ranked schools in the state, miles and miles of horse riding trails, and excellent golf courses. In the town center you'll find exclusive shops and fine dining. It is also the location of the venerable Inn at Rancho Santa Fe and what's been called the community's gossip center: the post office. All Covenant residents must pick up their mail there. The median price for a single-family home in Rancho Santa Fe is $1,080,250; The median price for a single-family luxury home is $3,649,000. Please note that our "Home Price Points" are based on the luxury market.